High-performing organizations make employee communications a priority because it increases employee engagement. An engaged workforce creates a more successful organization, so why wouldn’t you seek to engage your team? No matter what your personal communication style is, you have got to make sure you are communicating effectively with your team. Most of us need a refresher in this area, so here’s a great outline of 15 Tips for Effective Employee Communications for your review. What’s Your Employee Engagement Score? While your organization may be above average in certain communication areas, there is sure to be a few where communication is lacking. Perhaps you rely on the office grapevine to spread the news of upcoming changes or recent hires. Or maybe you have no idea if the information covered in your weekly manager’s meeting is reaching the rest of the staff (And we all know what happens when we assume, right? Double check.) Communication needs to be forthright, consistent and compelling. A comprehensive employee relations strategy covers a wide range of communication priorities. Intentional communication is one of the simplest ways to increase employee happiness and productivity. Your employees, especially those who directly work with customers, have the most control over the future of your company. Customer interaction is more than guest service training and satisfaction surveys. The way a customer is treated is affected by the employee’s personal sense of appreciation, accomplishment and fulfillment. The same principle applies for a sales associate calling on clients or a marketing manager presenting to stakeholders. 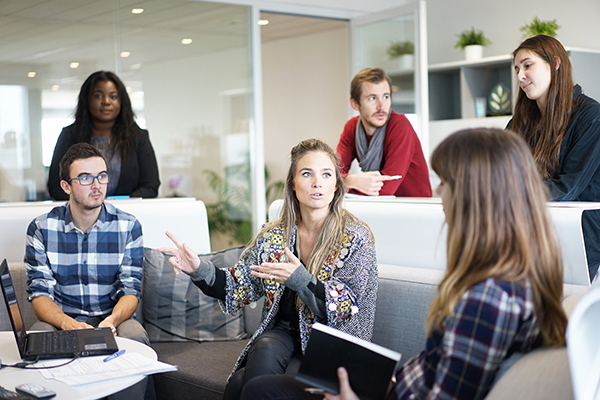 Here’s a few ideas you can incorporate right away to better engage your employees. There are so many ways to communicate with employees. Ensure your communications are representing the spirit and intent you hope for with productive communications, reward programs and incentives, effective coaching sessions and much more. Scott HR can help you deliver a well-thought out message even if the message is difficult. 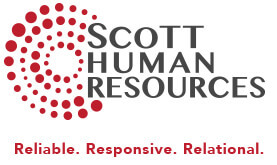 For a fresh analysis of your organization’s employee relations and a customized plan, schedule a free one-hour consultation with Scott Human Resources today. Call us at 785-272-5410 or email Office@ScottHR.com. Your enthusiastic HR expert! After more than 19 years in the human resource industry, Kristin is motivated by providing real solutions for HR challenges and building relationships that last. Embracing change for the future!